Veragua Rainforest Eco-Adventure Park in Costa Rica positively impacts local communities in Costa Rica. 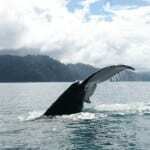 By Veragua Rainforest Eco-Adventure Park in Costa Rica. A decade ago the three tiny communities of Brisas de Veragua de Limon, Union of the Peje River and Rio Blanco, in the mountains near the port of Limon on Costa Rica’s Caribbean Coast, subsisted solely on logging, agriculture, and working on cattle ranches, and unemployment was severe. That all changed when Veragua Rainforest Eco-Adventure Park came into the area nine years ago. The rainforest adventure park in Costa Rica provided new jobs, adopted local schools to help the community, and gave education in environmental conservation. Residents’ lives greatly improved and now Veragua is an integral part of the community. Schoolchildren from local community by Veragua Rainforest Eco-Adventure Park in Costa Rica. 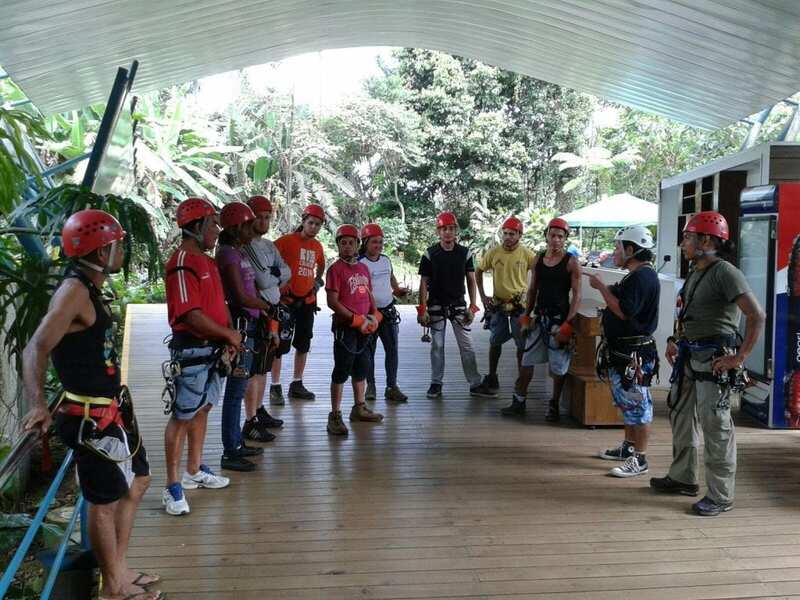 Daniel Torres, Site Manager at Veragua Rainforest Eco-Adventure, vividly remembers the first time he held an employment recruiting day, back in 2007 before the park opened to the public. During the two years of park construction, Veragua hired 140 men from the local area, many of whom stayed on working at the 3,212-acre park and private reserve in maintenance and grounds keeping. “One of the policies of the company is to contract people from the region to work at Veragua,” Torres explained. Of the 21 employees who now work directly for Veragua, 70% are from the local area. 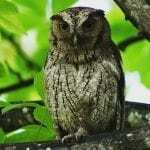 Guides, who must be bilingual and naturalists, come from the greater Caribbean region since these skills aren’t common in the communities by Veragua, Torres said. And there also are 60 freelance contractors who work with the large groups on cruise ship excursions to Veragua from Limon. 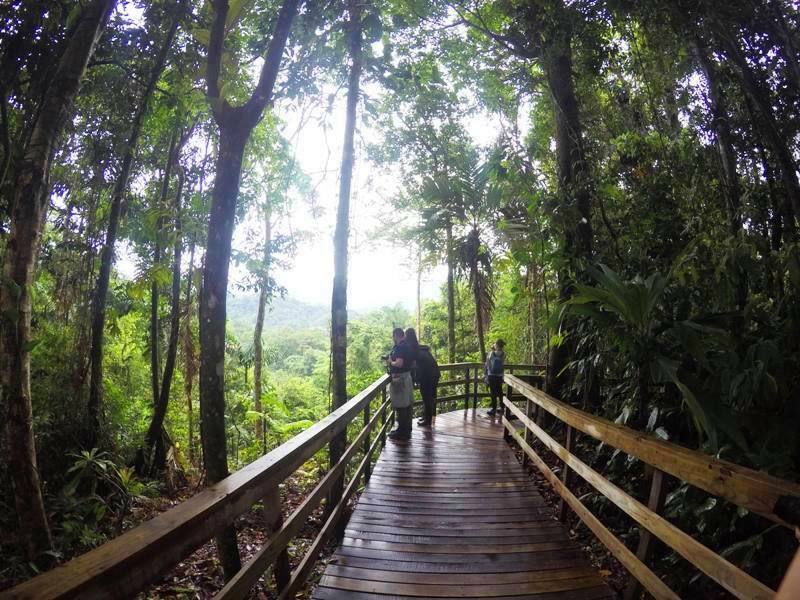 Veragua Rainforest Eco-Adventure Park brings visitors into the Costa Rica rainforest to experience nature and wildlife, and enjoy adventures like an aerial tram, waterfalls and zip lines. Veragua shares its border with the impressive La Amistad International Park (“Friendship International Park”), the second largest nature reserve in Central America – a region of extraordinary biodiversity, which is why Veragua also is dedicated to rainforest research. Through the Veragua Foundation for Education & Rainforest Research, Veragua Rainforest helps the schoolchildren at the local elementary schools in Brisas and Peje with school supplies and school improvements and maintenance. 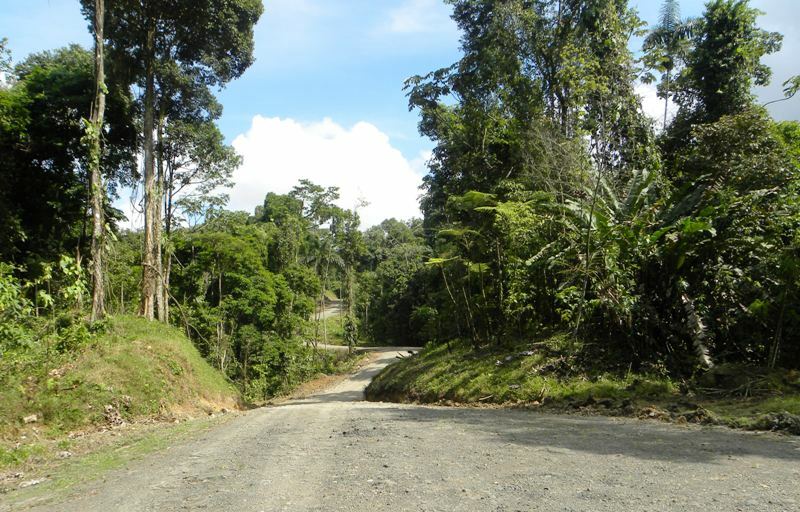 And Veragua has improved the roads through the communities, and changed the practice of hunting wild animals to developing environmental conservation. Veragua Rainforest Eco-Adventure Park in Costa Rica. 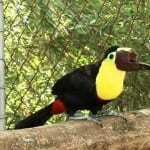 Visit Veragua Rainforest Eco-Adventure Park for one of the best rainforest tours in Costa Rica. 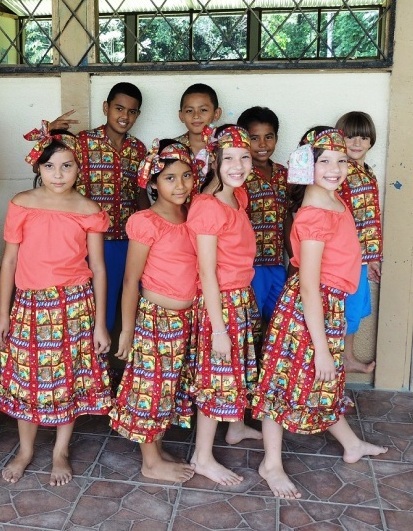 Your visit to Veragua helps support their community outreach programs.